Due to regulations by Hubpages, I may no longer link to Chessgames.com. Please highlight and search the bold/italicized games in order to view them on Chessgames.com. Ruy Lopez Players: You Never Have to See the Marshall Attack Again. With any chess opening, there are always unavoidable variations, each having their advantages and disadvantages. And as is the case in life generally, in chess, we can't always get what we want; but if we could always force our opponent to play only certain opening lines, the game would definitely suffer on account. 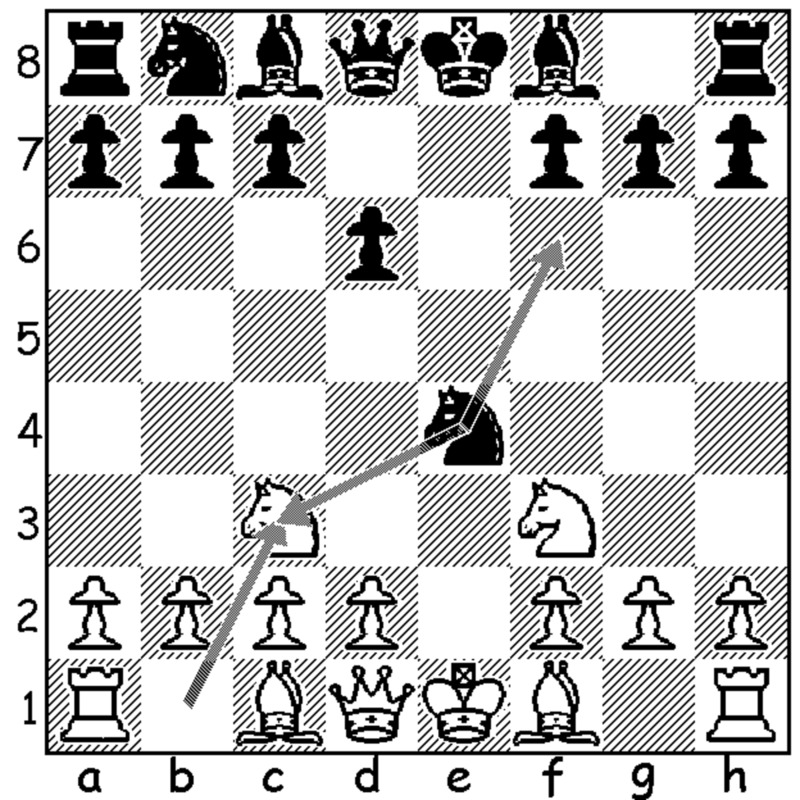 With 6.d3 in the Ruy Lopez, white may not be attempting to fight for the objectively biggest advantage possible -- maximally testing their opponent on the sharpest and/or longest theoretical lines, but here white does often get a relatively safe and solid position that they can slowly improve, as well as the potential psychological advantage of avoiding certain theoretical lines while playing something they may know somewhat better than their opponent. In the vein of Magnus Carlsen, who is famous for his slow and grinding style from equal-ish or even slightly inferior opening variations, I promote this opening, though it is by no means inferior. This opening line has been seen numerous times at the highest level of play, having been regularly employed by the likes of Magnus Carlsen, Vishy Anand, Fabiano Caruana, Alexander Grischuk, Sergey Karjakin, Peter Svidler and many other super-grandmasters who regularly play the Ruy Lopez as white. In fact, Peter Svidler published a video series on Chess24, covering this exact opening variation. Another reason for me in promoting this opening is that it has a particularly good win-loss ratio in chess databases at ALL levels of play. There is definitely something to this variation of the Ruy Lopez, and I recommend it to anyone looking to start playing the Ruy Lopez without having to learn all of the associated theory, to anyone who is looking to give up the Ruy Lopez as white because of its overwhelming complexity, and to anyone wanting to expand their opening repertoire quickly. Please note that if you are somewhat familiar with the Ruy Lopez and wish only to read about the 5.d3 and/or 6.d3 variations, please skip down to the appropriate sections below. The variation that I am going to discuss here is most commonly reached through the following move order: 1.e4 e5, 2.Nf3 Nc6, 3.Bb5 a6, 4.Ba4 Nf6, 5.0-0 Be7, 6.d3. There are, of course, many possible deviations all along the way as well as other paths to the same opening position, but the majority of players who play 3...a6 in response to the Ruy Lopez will oblige you and play into this variation discussed here. There are some things I should mention first though. 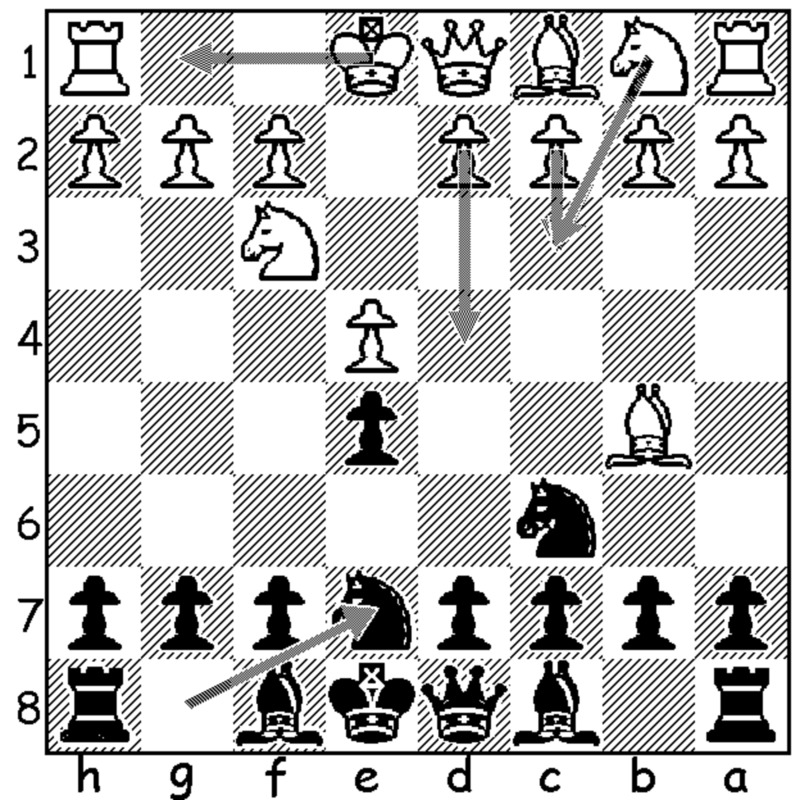 Upon entering the Ruy Lopez with 3.Bb5 (which one is able to play approximately 11% of the time following 1.e4, and 44% of the time following a double king's pawn opening), you still have to be prepared for responses other than 3...a6 (this move occurring approximately 72% of the time after entering the Ruy Lopez). The most common of these are (in order of popularity and including the percentage of likelihood) the Berlin Defense (Nf6) at 12%, the Schliemann Gambit (f5) at 4.5%, the Classical Defense (Bc5) at 3%, and the Steinitz Defense (d6) at 2%. Both Bird's Defense (Nd4) and the Cozio Defense (Nge7) are also seen from time to time, though I've only really ever come across them in blitz chess, and rarely at that. The Berlin Defense is something you must study at least a bit if you are going to play the Ruy Lopez as white. Often if you don't want to study too much Berlin theory, you can play the Steinitz move, 4.d3, which has been seen at the highest level, including having been played by Magnus Carlsen in the 2013 and 2014 World Chess Championships. Playing 4.d3 here often leads to positions much more like the main line or the Classical Defense. Also, 4.d3 Bc5, 5.Bxc6 is an interesting continuation of the Berlin Defense that I recommend you look into if you have not already. There is a very nice game by Wei Yi in this line, seen here: Yi v. Navara, Tata Steel (2016). 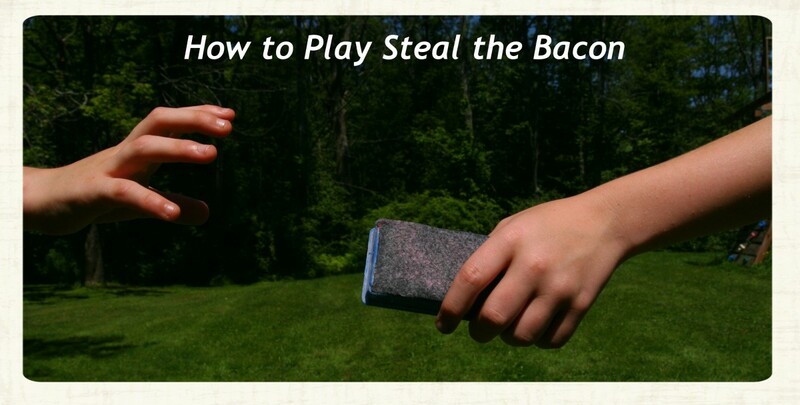 This is an opening variation that I plan to discuss in depth from white's perspective in an upcoming blog. The Schliemann Gambit is not very common, but it is a tricky and dangerous defense that needs to be taken seriously. I recommend the move 4.d3, which is continually growing in popularity, quickly becoming the main reply for its solidity, and which fits into this blog's theme of d3 in the Ruy Lopez. Sadly, many of the lines in this 4.d3 and other subvariations can be quite forcing, though there is still room for dynamics and either side to misplay. 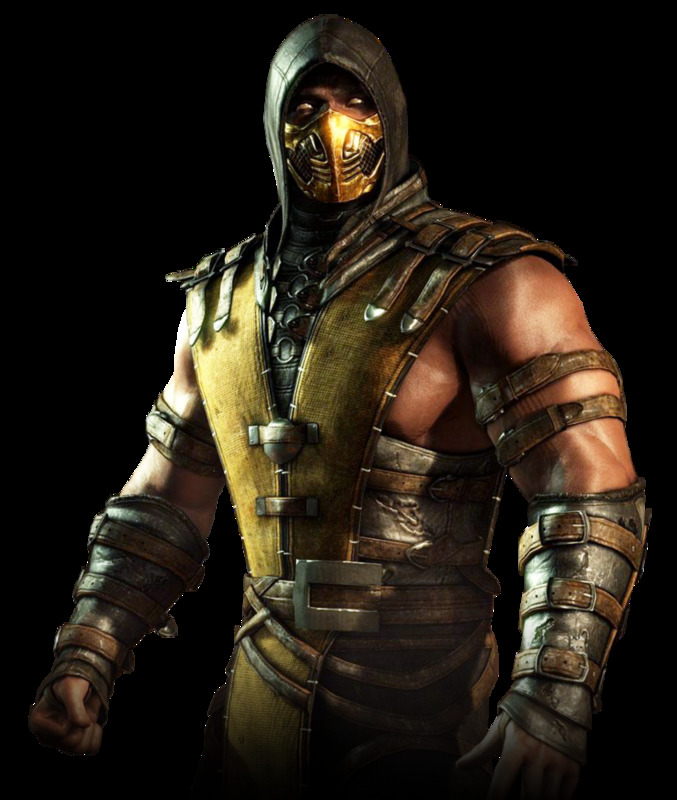 The Classical Defense is a historically ancient and still very respectable opening, again not to be taken lightly. Furthermore, playing 4.d3 against the Berlin Defense can directly transpose into lines of the Classical Defense and vice versa, so white can potentially study two opening variations at once here. I, however, recommend 4.c3 against the Classical, as black has not committed their knight to f6 yet; so after 4.d3 in the Classical Defense, black has alternatives like 4.Nge7, which could be favorable for them. The Steinitz Defense is solid, but it has a reputation of being passive for black. It is commonly seen at lower levels of chess, and this is likely because of the player's unawareness of Morphy's Defense (3...a6) and how black can win back the e4 pawn if white decides to exchange on c6 and take on e5. Because it is often employed by inexperienced players, I am usually happy to see it, though I sometimes have difficulty "cracking" the defense if black knows what they're doing. Also, the percentage of likelihood mentioned above may be misleading concerning this opening, depending on your level of play, as, if you're just starting to play chess or you're playing opponents who are beginners, you may see this opening quite a bit in response to the Ruy Lopez; this variance can be said of many of the percentages above depending on your level of play. All of that being said, this opening has seen play at the highest level in modern times on the very rare occasion. Both Vassily Ivanchuk and Levon Aronian have implemented this opening within the past several years, though it seems to be more of a psychological and blitz weapon. I plan to write a blog entry covering some different ways for white to combat this opening variation, so keep a lookout for that too. Bird's Defense is a fun and counterintuitive variation, as black not only moves the same piece twice (knight to c6 and then to d4), but they also invite white to damage their pawn structure with 4.Nxd4 -- white's main response. Bird's Defense is sound for black and can even be a little tricky for white if white is inexperienced. Then again, black usually struggles if white knows what they are doing, which is why this defense is uncommon, both generally and at the highest level. Again, this is yet another opening variation that I plan to write about from white's perspective. Finally, the Cozio Defense with 3.Nge7 is an interesting and underrated defense, which I have actually used while attempting to start playing the classical king's pawn games with 2...Nc6 as black. It avoids a lot of theory (Notice a theme here? ), limits white's options (e.g. white can no longer play the Exchange Variation with 4. Bxc6), and it attempts to punish white potentially if white does not react in an active fashion; this punishment comes by quickly fianchettoing black's kingside bishop, castling and playing a quick f5, which is not often something easily achieved by black early in Ruy Lopez main lines. That being said, white can give black a few problems to solve in this variation with moves like 4.Nc3, the idea being to play a quick d4 and temporarily sacrifice a pawn. Another idea for white is the common Ruy Lopez theme of c3 followed by d4, attempting to create a large pawn center. Overall, this variation is sound for black, and I recommend it for Ruy Lopez players from the black side. I have already written a blog entry about this opening variation that can be found here on Hubpages. If black plays 3...a6, then following 4. Ba4, you will see 4...Nf6 an overwhelming majority of the time (roughly 78% of the time). The only deviation you need to be somewhat aware of is the Deferred Steinitz Defense with 4...d6 (occurring 8.5% of the time), which is a much better variation than its aforementioned, undeferred counterpart. Another variation with a questionable reputation that is occasionally seen at this point is the Norwegian Defense (4...b5, 5.Bb3 Na5); this variation often nets black the bishop pair but also wastes time to do so. That being said, don't underestimate this variation or some of black's other fourth move options either, which include the deferred variations of the Classical, Schliemann and Cozio Defenses (4...Bc5, 4...f5, and 4...Nge7 respectively). On that last note, I have a tendency, as I'm sure is the case with many of you, to write off an opening based on its purposed "unsoundness." Those openings may very well be "refuted" in some way, but in order not to be concerned about seeing such openings, you need to be familiar with those refutations or at least skilled and comfortable enough a chess player to find the correct moves over the board (not recommended). I know that everyone's time is limited and that we, as amateurs, cannot learn the refutations of every questionable opening and every subvariation of those openings, which is why I mention the most common variations and note which ones require looking into -- good and bad alike. Also, a surprising number of the refutations of "unsound" openings are simply to make the most principled and intuitive moves, while it is also rarely critical that you punish a subpar opening by refuting it outright; ordinary and logical moves will likely suffice and keep you out of trouble when it comes to these things. For instance, the line that is supposed to make the Norwegian Defense bad for black is when white develops naturally by castling and breaking in the center with a quick d4 (See Anand v. Agdestein, Baguio 1987). One other thing that can be said here is that many of these variations transpose. For instance, black can play 4...b5 without the intention of playing the Norwegian Variation (5...Na5) but rather 5...Nf6 or the like. This may seem to make things sound more daunting for those of you who aren't familiar with the Ruy Lopez, but like everything in chess, it will take some time and experience playing the Ruy Lopez, in aiming for the 6.d3 line, before you are somewhat comfortable with all of it. Also, most of chess takes place within some level of unfamiliarity anyway, especially for us amateurs, so don't worry about learning the ins and outs of it all. I should briefly mention this 5.d3 option because, though I have decided not to employ it myself, it does reduce some of the theory that white is required to know. 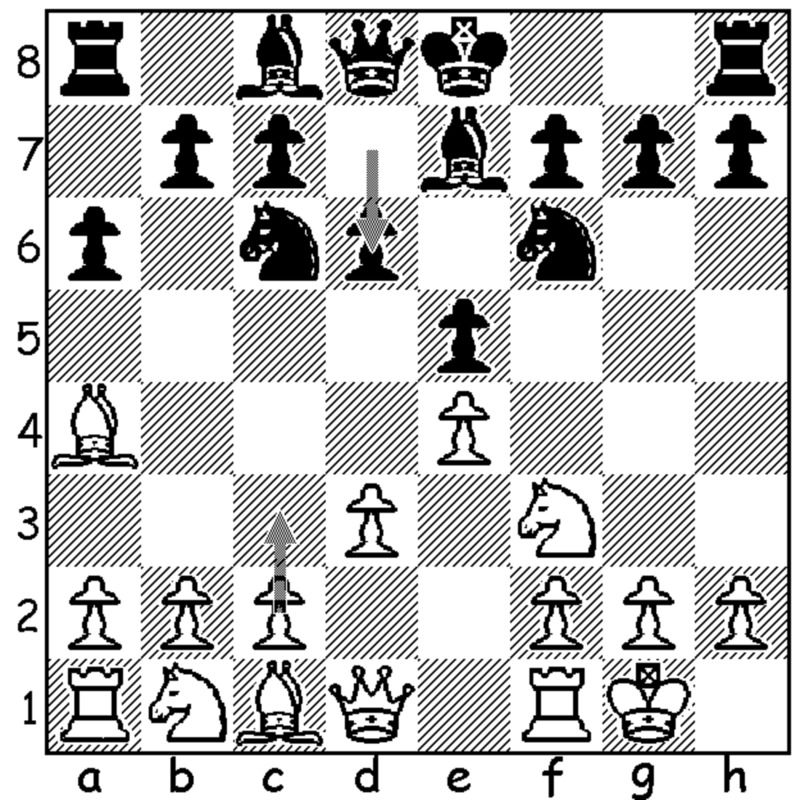 The move 5.d3 does so by not allowing black to take on e4 with 5...Nxe4, which is known as the Open Ruy Lopez. This is significant because the Open Ruy can involve a massive amount of theory; not only that, but it's also unlike much else in the other Ruy Lopez lines as far as appearance goes, so it will probably require a large amount of time and dedication. So if you are tight for free time, 5.d3 is always a reasonable option. I must add that after 5.0-0 by white, going into the line I'm recommending (6.d3), databases show that there's only about an 11.5% chance that black will choose to enter the Open Ruy Lopez. Meanwhile, the two lines (5.d3 and 6.d3) often transpose, as black often prefers to play their bishop to e7 regardless of move order. So take all of these factors into account when deciding which line to play, and experiment with both a bit in your friendly games before you definitively choose. With both 5.d3 and 6.d3, you may be asking whether white is losing time because white is often able to play d4 in one move. This is true, and white probably loses some of their advantage by not following the "main-main line" of any chess opening, but those variations are often the most trodden paths and the most difficult to understand and memorize. Meanwhile, almost all chess theory comes to an end at some point along a game, and it is often done on purpose in order to throw off one's opponent or play into one's own strengths. 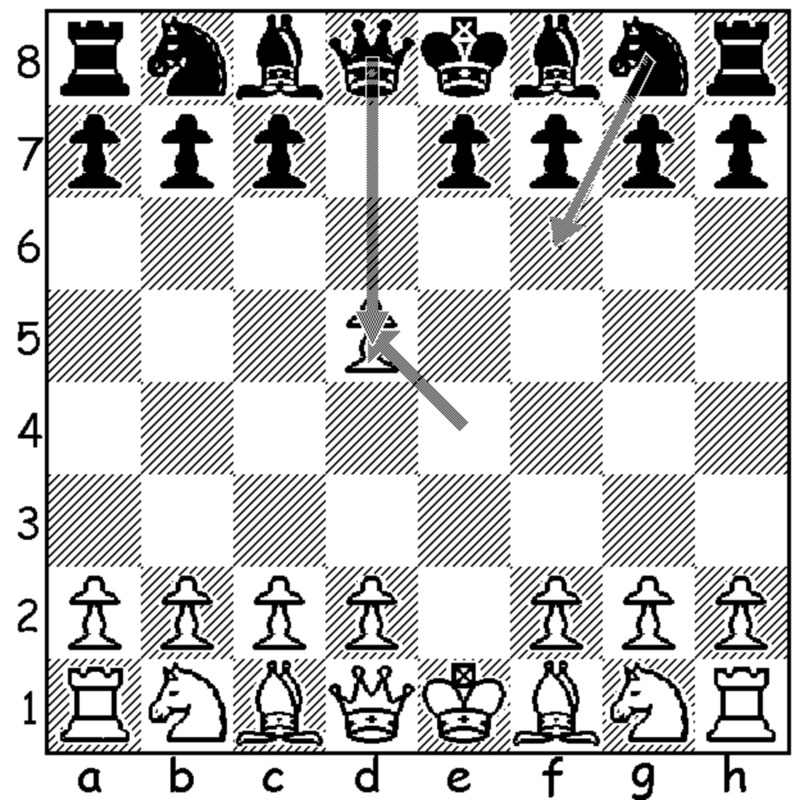 At the highest level, it is often noted where the first novelty in the opening of a chess game is and which of the two players deviates first. Well, at our levels, a lesser known line is as useful as a "pure" novelty is to them. Nonetheless, both recommended options (5.d3 and 6.d3) are very sound, and because of their unexplored nature, white tends to come out on top a good deal more than most other Ruy Lopez lines, especially in relation to ones that deviate so early on. All this being said, there is some downside to playing d3 one move earlier -- there always is. Seeing as the idea of playing 6.d3 following 5...Be7 is to have black commit to developing their bishop to that square, playing d3 a move earlier with 5.d3 allows black to play differently and more advantageously. This is done by black playing d6 (protecting the e5 pawn) followed by g6 and Bg7, which is a useful and common maneuver found in many Ruy Lopez lines. Black here is able to develop their bishop to g7 immediately, and white can't punish this with an early break in the center with d4 (a la the Fianchetto/Smyslov Variation of the Ruy Lopez with 3...g6), as it comes with a loss of tempo (time) because the d3 pawn has already moved. 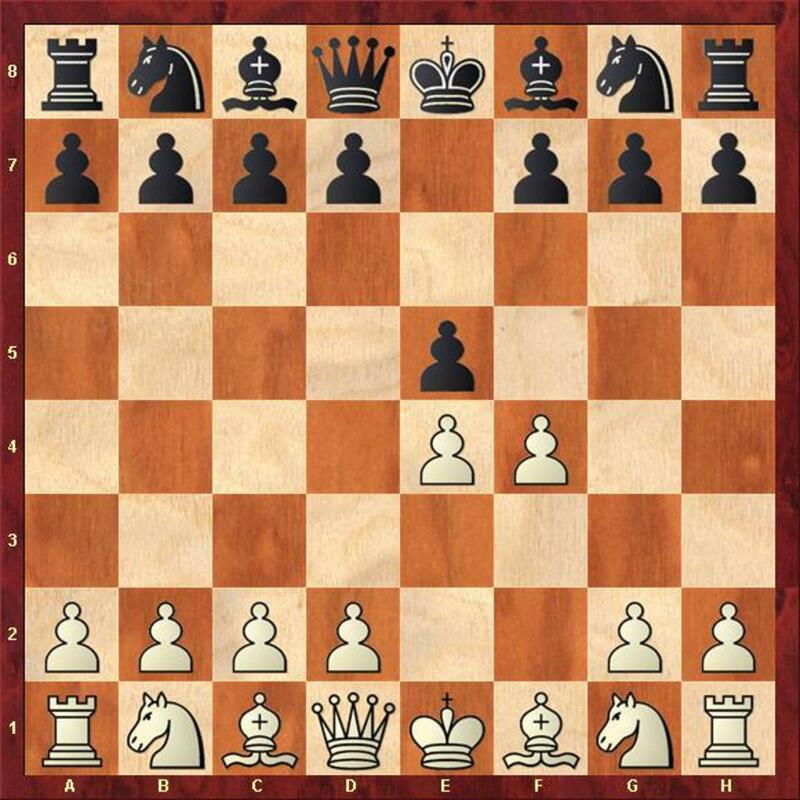 Therefore, black is thought to equalize rather easily if they conduct this early Bg7 maneuver against 5.d3 (occurring roughly 20% of the time according to databases), as black essentially reaches a Deferred Steinitz or Russian Defense type of position with an extra tempo. You can think of 5.0-0 as a very useful waiting move in relation to the 6.d3 variation, in that it waits for black to commit their bishop so that white may potentially hang on to an advantage somewhat longer. 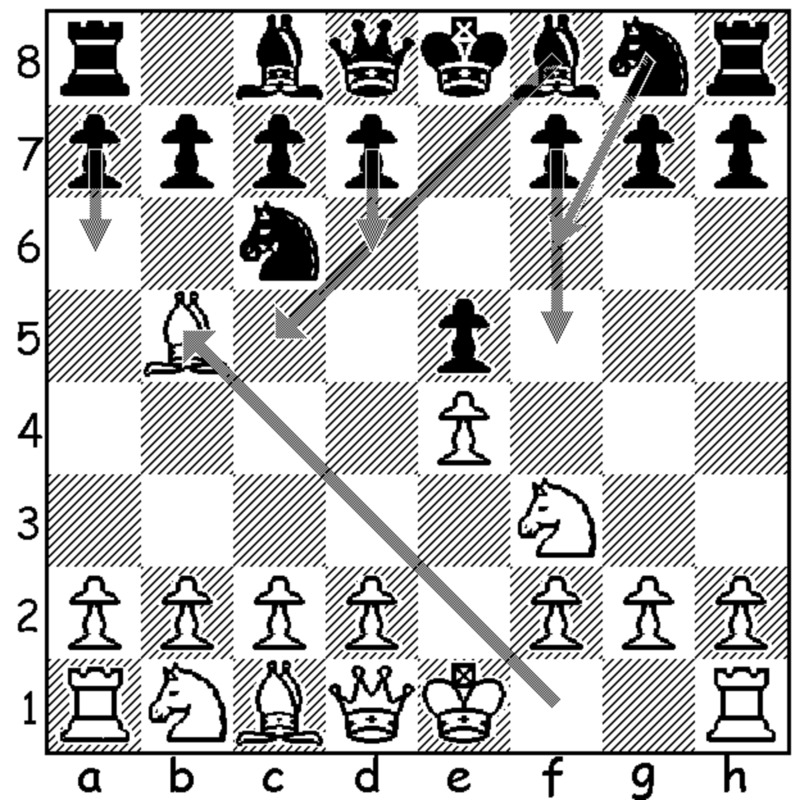 I mean, what is opening theory anyway but white's attempt to hold on to its first move advantage for as long as possible and black's attempt to neutralize that advantage in the fewest number of moves, all while both players attempt to make their own moves easier to find and while hoping to entice their opponent to make obvious mistakes? Then again, most openings ultimately amount to equality anyway, so if you don't care to learn the Open Ruy, then the 5.d3 variation may be for you. There are three main fifth move options that black can make. Here they are with their approximate likelihood percentage following 5.0-0: The mainline move, 5...Be7, at 67%; 5...b5 at 17.5%, which can lead to the Arkhangelsk Variation (6.Bb3 Bb7), the Neo-Arkhangelsk Variation (6.Bb3 Bc5) or transpose back into the main line; and the Open Ruy Lopez at 11.5%, which I mentioned a bit in the 5.d3 portion of this Hub. The Russian Defense (5...d6) and Moeller Defense (5...Bc5) are less common alternatives, both of which have the potential to arise via transposition in various ways. One thing to mention about 5...b5 or variations where this move occurs and black places their bishop on b7, is that the structure with an early d3 is often a good idea. In a video published by Saint Louis Chess Club on Youtube, I remember hearing Yasser Seirawan mentioning how white often wants to play with d3 at some point if black's bishop comes to b7 early in the Ruy Lopez; this way it blunts it somewhat. Meanwhile, white will often play with moves like a4 to chip away at the b5 pawn and black's queenside structure overall. Therefore, much of the information in the paragraphs below can apply to other Arkhangelsk-like structures, occasionally with there being transpositions. Likewise, if black doesn't play with their bishop to b7, it is often best for white to play c3 and then d4 in one move. This one-move advance to d4 is still possible here, as black must commit to the Arkhangelsk variations (specifically the Neo-Arkhangelsk) before white plays 6.d3. Meanwhile, with proper play, white can play with d3 there and not be worse. I believe that I am a relatively practical person, and so I will explain my reasoning for choosing this opening. It is far enough into the mainline Ruy Lopez to keep some edge for white in many lines. It is also early enough of a deviation from the main line that you are likely to see it often enough for your time spent studying to be worth it. If you choose to play with 6.d3 in the Ruy Lopez, then upon entering the Ruy Lopez, you have roughly a 37% chance of reaching this variation or similar variations with some direct application. Likewise, with the 5.d3 variation, you have roughly a 55% chance of being able to enter that variation upon playing the Ruy Lopez. My point in this is that if you are an amateur, as we are, then you likely want your time studying chess to be put to good use. Studying the Marshall Attack of the Ruy Lopez as white, for example, involves a huge amount of theory and study, and you're only likely to see that variation roughly 2% of the time upon entering the Ruy Lopez. Take another example such as the Breyer or Chigorin Variations; you're only likely to see those 3% and 7% of the time, respectively. There are entire books dedicated to each of these mainline variations, and it's unlikely that you'll see them enough in your games to make it worth your time studying all of them. Meanwhile, failing to deviate from a main line early enough means that your opponent can do so, and then you're in their familiar territory. So let's discuss black's only two reasonable responses to 6.d3: 6...b5 and 6...d6. First of all, with the move d3 on move six, we have a threat. That threat is to take the knight on c6 (Bxc6), followed by taking the e5 pawn (Nxe5). In relation to white's more common sixth move, Re1, 6.d3 serves a similar function of defending the e4 pawn, which was en prise following black's 5...Be7; therefore, we are now threatening to take black's e5 pawn without black being able to reciprocate. Hence the moves 6...b5, stopping the bishops attack on the c6-knight, and 6...d6, simply defending the e5 pawn. The only other moves that even show up on my chess databases are 6...0-0, 6...h6 and 6...d5, all of which have fewer than 20 games played in each, and all of which blunder the important e5 pawn with little to no compensation. Let's start with 6...d6. Though this move is somewhat rarer than 6...b5 as far as the number of games in chess databases and the number of times I see it in my own games, I personally believe that this is the most accurate response against 6.d3. 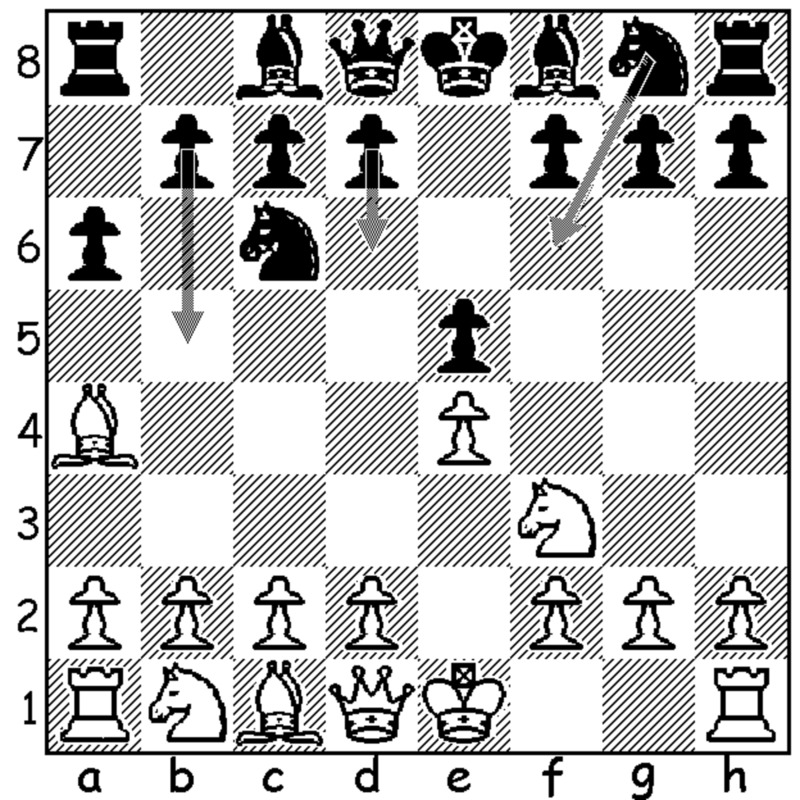 My reasoning for this is twofold: First, white is often forced to compromise their original intentions of immediately playing against black's queenside with the moves a4 and/or Nc3 -- primarily because of the forced inclusion of 7.c3 (mentioned below); secondly, the position can commonly resemble traditional Ruy Lopez main lines where white has spent time with the move d3. Play almost always continues with 7.c3, anticipating black's eventual b5 push. The reason for 7.c3 is that black threatens to win time and/or the bishop pair if white does not make a new home for it, and c2 tends to be that place in this and similar lines. This is also why 7.c4 and 7.a3 have been played here by strong players -- though very rarely, as it makes room for the bishop's retreat. Furthermore, 7.c3 allows for white to retreat the bishop to c2 in one move following black's 7...b5, which would likely be black's next move if white did something else. This is one of the benefits of this 6.d3 line, and it also allows this line and the main line to transpose occasionally, as the time "wasted" by white with 6.d3 in the 6...d6 line is made up for with the bishop's retreat to c2 in one move. There are further advantages and disadvantages with this swifter retreat, as the bishop on b3 in the main line does often become a target (see: the Chigorin Variation) but also controls the d5 square, both things that the bishop on c2 does not do. Again, following the move b5 from black sometime after white's 7.c3, white has the option of moving the bishop to b3 and then c2 eventually, or c2 in one go, each of which has its pluses and minuses that are mentioned in the paragraph above. These variations tend to look similar to or directly transpose into variations of the mainline Ruy, as this move d3 can occur late into the mainline Ruy, often occurring on or around move ten in lines like 1.e4 e5, 2.Nf3 Nc6, 3.Bb5 a6, 4.Ba4 Nf6, 5.0-0 Be7, 6.Re1 b5, 7.Bb3 d6, 8.c3 0-0, 9.h3, where here, on move nine, black chooses the variation of the Closed Ruy Lopez that is going to be played, the most common ones being the Chigorin (9...Na5), the Breyer (9...Nb8), and the Zaitzev (9...Bb7). White can also choose to play 9.d3 (the Pilnik Variation) instead of h3, with similar ideas in mind. Therefore, if white chooses to play with Bb3 following black's b5, the line will likely resemble the Pilnik Variation, which is not considered critical. That is, generally, playing d3 in these "mainline" variations is not bad for white, but it's also thought to give black an easier task of defending. Because one of the most popular lines of the 6.d3 d6 subvariation, 1.e4 e5, 2.Nf3 Nc6, 3.Bb5 a6, 4.Ba4 Nf6, 5.0-0 Be7, 6.d3 d6, 7.c3 0-0, 8.Re1 b5, 9.Bb3, directly transposes into the Pilnik Variation, which I just mentioned was not critical, I suggest the option of retreating the bishop all the way back to c2 in one move be taken. That is, I believe that the extra control over the d5 square that white gains with a bishop on b3 is not worth the time wasted if it is attacked. All of this said, white can also play 8.Nbd2 instead of 8.Re1 in the previous line, which is my recommendation for this 6...d6 line. My reasoning for this is that I believe white's knight likely needs to go to d2 within the next few moves anyway, whereas the rook on f8 may have a purpose there, or the rook may be able to swing over to the d-file in one move should that file open up. A sample line here is: 8.Nbd2 b5, 9.Bc2 d5, 10.h3 dxe4, 11.dxe4 Be6, 12.Ng5 Bd7, 13.Qe2 h6, 14.Ngf3 Be6, 15.Rd1 Qc8, 16.a4 Qb7, 17.Bd3 b4, and white appears slightly better. As I mentioned in the previous 6...d6 portion of this Hub, I believe 6...b5 to be a slightly inferior move when compared to 6...d6, at least in the sense that white often plays 6.d3 in order to provoke black on the queenside early and create positions that significantly differ from the main line, and so black is obliging white here. The point of white's 6.d3 is often an attempt to avoid the main lines altogether and not just the Marshall Attack; therefore, my belief is that black should probably force white to play positions resembling the main lines, which black can do with 6...d6. Not only that, but such positions in 6...d6 are often favorable versions of these main lines for black if white plays with a later Re1. Though it is difficult to say which is objectively better for black, the move 6...b5 is roughly three times more popular, which counters my previous argument for black to play 6...d6. Black not forcing white to play 7.c3 immediately, as white must after 6...d6 in order to keep the light-squared bishop and/or save time, means that white has more options. The major benefit of the 6...b5 variation for black is that the bishop must retreat to b3, from where it must often move again -- commonly due to further harassment. Notice that black obviously cannot attempt to win the bishop pair immediately with a move like 7...Na5 after 7.Bb3, as the e5 pawn will be unprotected. This means that black must play a "slower" move, most commonly 7...d6 (which may transpose into some of the 6...d6 lines mentioned above), 7...Bb7, or 7...0-0. Other rare moves in the database which might be playable for black are 7...h6, 7...d5, and even 7...a5, though I wouldn't recommend any of those to black. In all six cases, white can play a4, c3 or a3 on their eighth move in order to preserve their bishop and/or attack black's queenside, though these all may not be the best or most preferable moves for white to play against each of black's seventh move possibilities. Surprisingly, 8.a4 seems to be a reasonable response to nearly every reasonable seventh move from black following 6...b5 and 7.Bb3, at least from a win-loss statistical point of view, though there may be more precise options for white in some cases. 7...d6, is probably best answered by 8.a4, attempting to provoke black. Black must now commit to something in order to ease the pressure on the b5 pawn, as the a6 pawn is pinned to the unprotected rook on a8. The top moves for black include (in order of popularity): 8...Bd7, 8...b4 (which is a critical line and which can be dangerous for black if white is able to "isolate" the pawn with a timely a5 -- a common idea in Ruy Lopez structures with an early a4 by white), and 8...Bg4 (which threatens annoying moves like Nd4, taking advantage of the pin of the f3-knight and requiring an immediate response of 9.c3 or 9.Be3 in order to protect the d4-square). 7...Bb7 is also possible for black. I believe that this move commits black's light-squared bishop too early, as black isn't forced to show their hand quite yet. Because the bishop on b7 no longer threatens to pin the f3-knight any time soon, white can play moves like 8.Nc3 and delay moves like h3 without the fear of having to weaken their kingside structure or waste time breaking the pin. The move 8.Nc3 also happens to be the most common response to 7...Bb7, though, as I said before, 8.a4 is also a good move and can transpose into the 7...d6 lines just mentioned. Black's third most common response, 7...0-0, is often like 7...Bb7 and can often transpose, as black still doesn't threaten to pin white's f3-knight. So here 8.Nc3 or 8.a4 can be played also. Note that in many of these lines, especially black's lines other than 7...d6 (if white wishes to maintain their light-squared bishop), white can afford to play a move like 8.Re1, where the positions may take on more of an 8.a4 anti-Marshall Attack structure. I recommend that white be aware of such transpositions, because d3 may be a bad inclusion in some of those lines, though it is often played in the 8.a4 anti-Marshall. Furthermore, the rook can play a useful role on f1 in some lines of this and similar opening variations, as white can sometimes play with Be3, and if a trade occurs there (preferably for black's dark-squared bishop), white can take with the f-pawn and open up the f-file. With white's bishop on the a2-g8 diagonal, this added pressure on the f7-square can often be decisive; such ideas can also be seen in the Italian Game (3.Bc4) from either color. Another thing to note is that white can also play with an early a3, as opposed to a4, in many of these lines, and this idea has been seen a lot at the highest level of chess. However, it is my opinion that white should play a4 in one go (though both moves are fine) and save the tempo, as white often ends up playing a4 in the a3 lines anyway (though arguably under better circumstances). Following the line 6.d3 b5, 7.Bb3 d6, 8.a4 Bd7, it seems that maintaining the solid center with d3 is not quite as prudent without the bishop on b7, so white often chooses 9.c3 with the idea of breaking in the center and being able to retreat the bishop to c2 if necessary. In this 8...Bd7 line, the move 9.Nc3 is also an option, as black has committed the bishop to d7 (making Bg4 unlikely any time soon); however, in this 9.Nc3 line, white needs to be happy with the idea of the bishop's retreat to a2 should black choose to induce this with a move like Na5. or 9.a5, as seen here: Mista v. Wells, Bundesliga (2013-2014); and Kasparov v. Short, World Championship Match (1993), which is actually from an 8.a4 anti-Marshall Attack transposition like mentioned above. I have combined these two seventh move options for black because the two share themes and can often transpose into each other or anti-Marshall lines (like the lines just mentioned above). 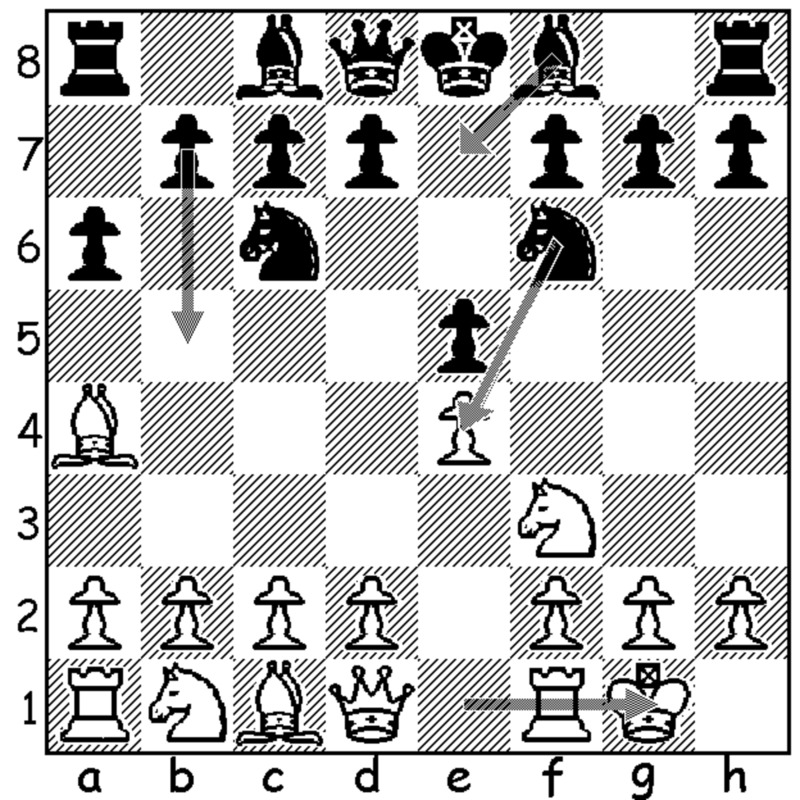 One idea of both moves includes staying flexible with the d7 pawn. Without the pawn on d6, black can potentially move the e7-bishop to squares like c5. Also, here black can at least hope to break with d5 in a single move, however unlikely it may be. Of the two, 7...0-0 is probably preferred, though it is slightly less common in databases. I believe it is preferred because 7...0-0 is an all-around useful move and isn't committal. Again, both of these options are very playable; it's only a matter of black's preference and the psychological advantage that comes with flexibility and awareness of such. 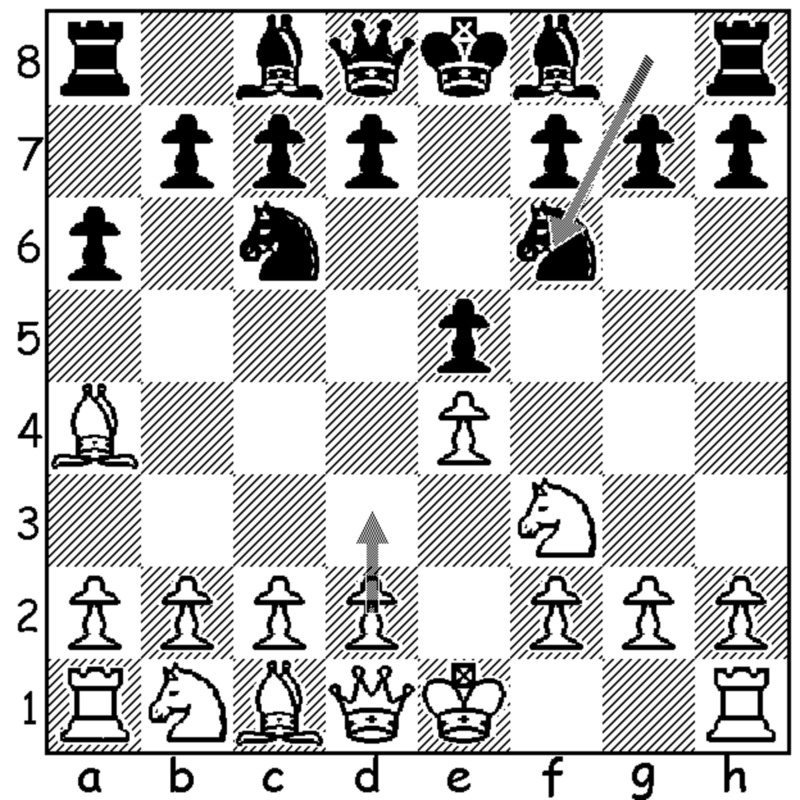 With 7...Bb7, white often continues with 8.Nc3 or 8.a4. White can play 8.Nc3 now without fear of a pin on the f3-knight with Bg4 in the future. For this reason, I tend not to think this is the most precise move for black, though it is entirely playable. With 7...0-0, it is also possible to play 8.Nc3, though 8.a4 is more common and likely preferred. This is because black has not committed their bishop to b7, so after a move like 8...d6, white has to be conscious of the awkward pin that could occur after Bg4. 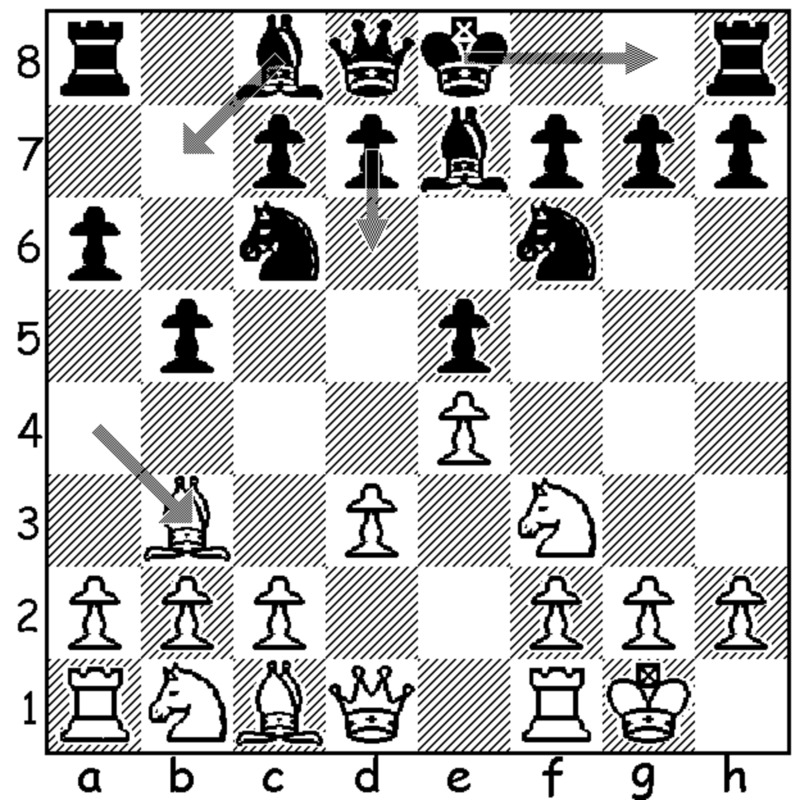 With both 7...Bb7 and 7...0-0, the move 8.Re1 can be played. I will only say that the option of 8.Re1 here in both variations often leads to anti-Marshall and Arkhangelsk transpositions as is the case with many other variations of the 6.d3 Ruy Lopez where an early Re1 is played. In my personal games within these and similar variations, I am conscious of the move Re1, and I will often try to avoid it unless I believe it concretely to be the best move in the position, as I prefer to stay within distinctly 6.d3 Ruy Lopez lines. Popov v. Ragger, World Cup (2013), where the idea of bringing out the e7-bishop to c5 before playing d6 can be seen. Grischuk v. Kamsky, FIDE World Team Championship (2013), with 7...0-0, 8.Nc3 d6, 9.a3 Bg4, 10. Be3 Nd4. What do you think of this chess opening? Have you ever played the 6.d3 Ruy Lopez before as white? If not, would you consider doing so now because of this article? No, but I will consider doing so now. No, and I do not think I will. Though I did not discuss specific lines in this 6.d3 variation in very much depth, I hope that I was able to explain the main opening concepts and perhaps make you feel comfortable playing this line if you are relatively new to it. I also hope that the games that I listed here gave you insight into the opening and its resulting middlegames. As the Ruy Lopez is one of the most complex and vast openings, I attempted to give a variety of white's possible options in order to give you a better sense of this variation and the Ruy Lopez as a whole. This approach varies from some of my other blog posts in that the openings of those other entries are not as complicated, and so there I chose more specific lines for the reader to follow as opposed to the variety that I have mentioned here. I hope that you found this Hub thorough and that I answered any of your questions that arose throughout the course of your reading this. Maybe you learned something new that is unrelated to the 6.d3 line, such as how to approach learning or choosing an opening or repertoire or how to handle/refute "unsound" openings played by your opponents. Also, I hope that the information about the variations leading up to the 6.d3 line was particularly helpful, especially to those trying to play the Ruy Lopez for the first time. 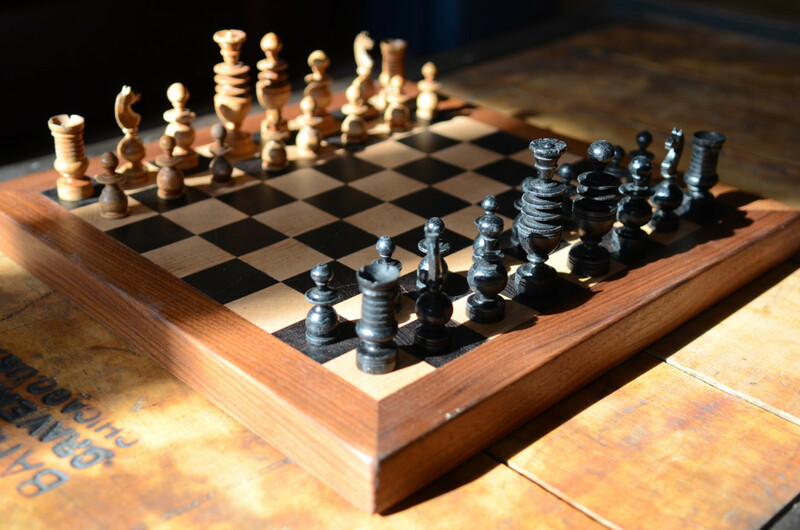 As you progress as a player, you will find yourself creating your own kinds of chess proverbs, and these will help you discern chess positions in the heat of the moment. Furthermore, such progress will allow you to determine the critical thematic differences between varying chess lines, such as the differences between 6...d6 and 6...b5. There is a lot of information on this variation, most of which can be found online, though much of it is brief or requires a paid chess account of some sort. If you have any other questions, please feel free to leave them in the comment section below. I thank you for your time, and have fun with your chess. Any comments, questions or suggestions? Please feel free to leave them here below.